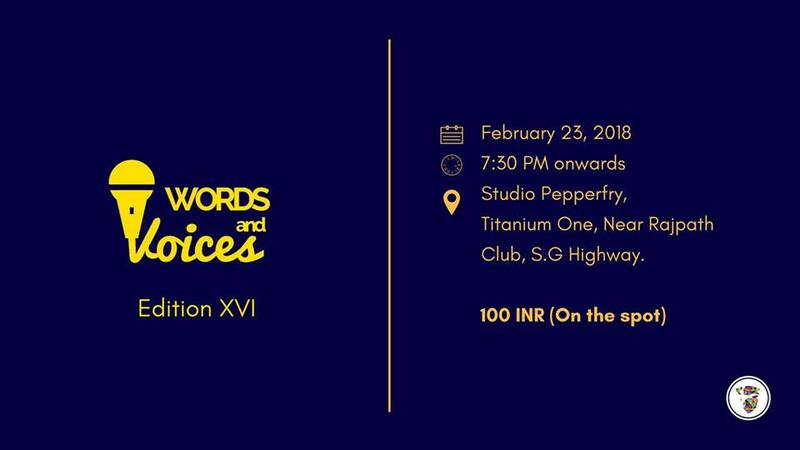 We bring to you the sixteenth edition of ‘Words and Voices’! ‘Words and Voices’ is a spoken word event. It caters to different formats like performance poetry, storytelling, and comedy. We will have 15 curated performers. In case, performing interests you even the slightest bit, simply fill up the form below.